Leigh and Shuwen are the Two Hungry Girls and they are on a mission. 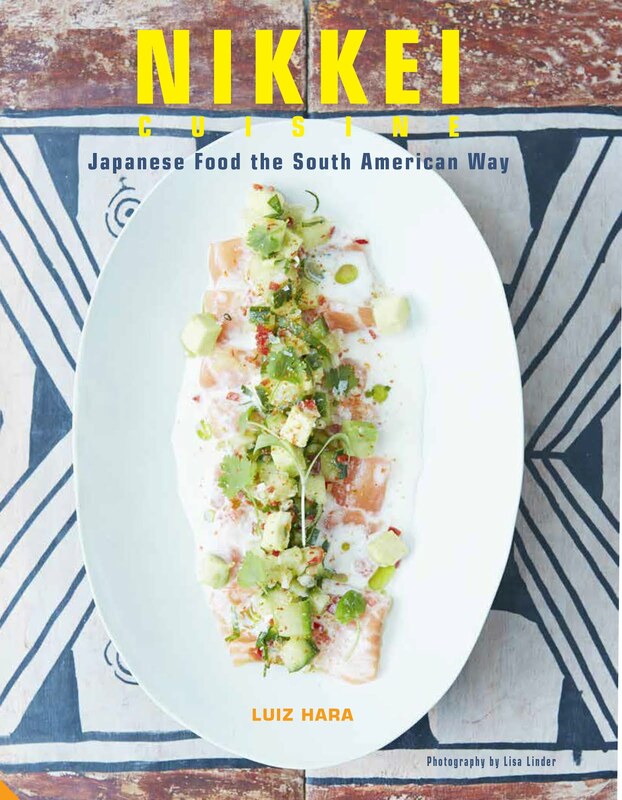 Since their first supper club launched in February this year they have brought their own take on Modern Chinese and South East Asian cuisine to the London dining scene. 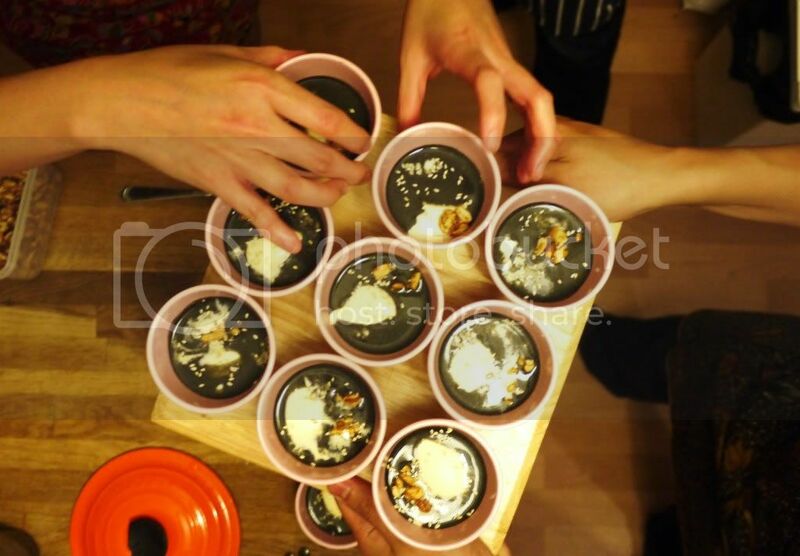 With supper clubs hosted about once a month at their home in North London, and occasionally at other venues, tickets sell fast and the quality of their cooking is the main reason why. And, as the Two Hungry Girls also host dinners in aid of the charity Action Against Hunger, helping bring nutrition and hygiene to poor communities in Africa, it is a double-win for diners. The venue seats two tables of eight which allows you to get to know your fellow diners and is also buzzy enough to feel like a convivial dinner party. The food is mostly served ‘home style’, meaning large platters and bowls are passed around the table and shared. To start, we were served a Lychee Liqueur, a shot glass containing a peeled lychee filled with lychee wine and lemongrass - a refreshing and aromatic aperitif. 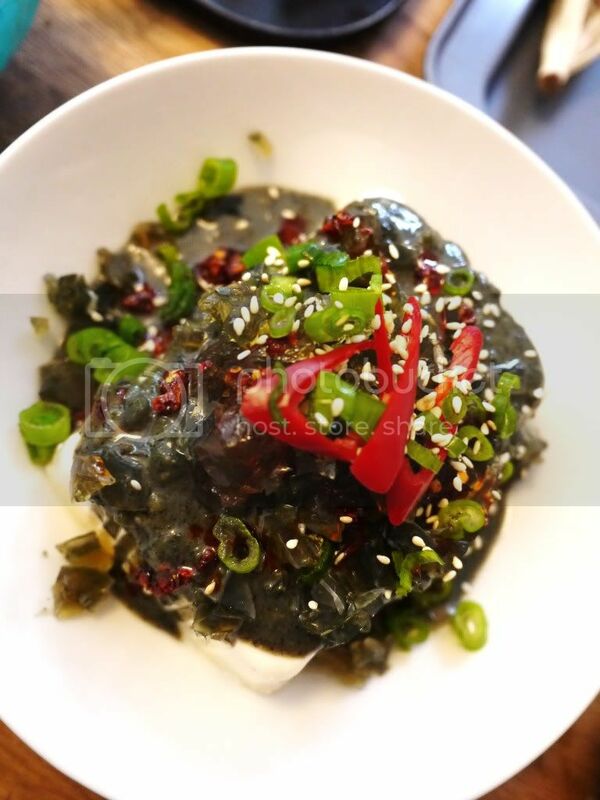 Then came the Cold Silken Tofu with Century Egg Sauce, an ingenious dish offering the intense flavour of Century egg as a sauce, rather than the slightly scary vision of a sliced green and black boiled egg – the most common way this Chinese delicacy is served. The sauce was smooth and rich, combined with sesame paste, poured over the silken tofu and then studded with chillies. Poached Chicken with Two Hungry Girls Sauce was chicken delicately cooked in stock and annointed with a sauce zinging with ginger and spring onions. Lettuce came alongside to make our own fresh wraps. 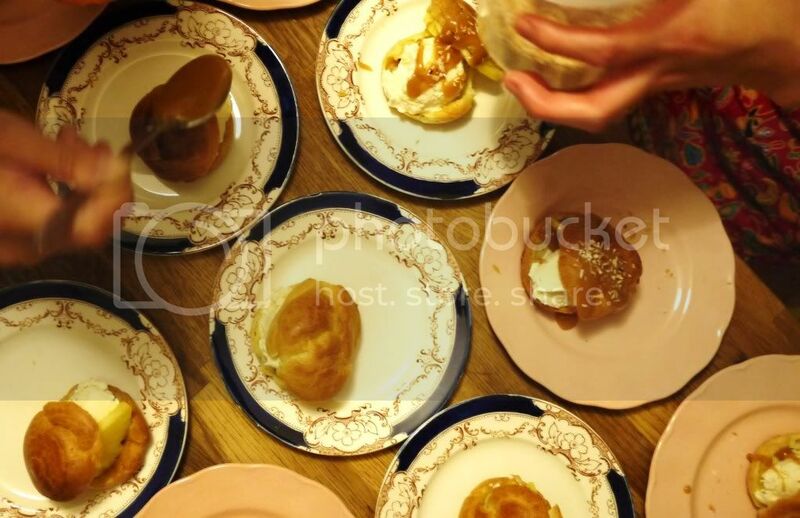 The Two Hungry Girls were determined none of their guests would go hungry and delivered a third starter, 5-spiced Sichuan Peppercorn Gressingham Duck Mantou Buns. Mantou is the Chinese word for steamed buns, says Wikipedia, and these were pillow-soft and stuffed with tender shreds of duck confit. It was Gressingham duck, known for its low fat and tender meat, owing to the free range treatment the birds get on farms in Suffolk and Norfolk. And, as Gressingham is a cross-breed of Wild Mallard and Pekin, it is perfect for Chinese roast and braised duck dishes. 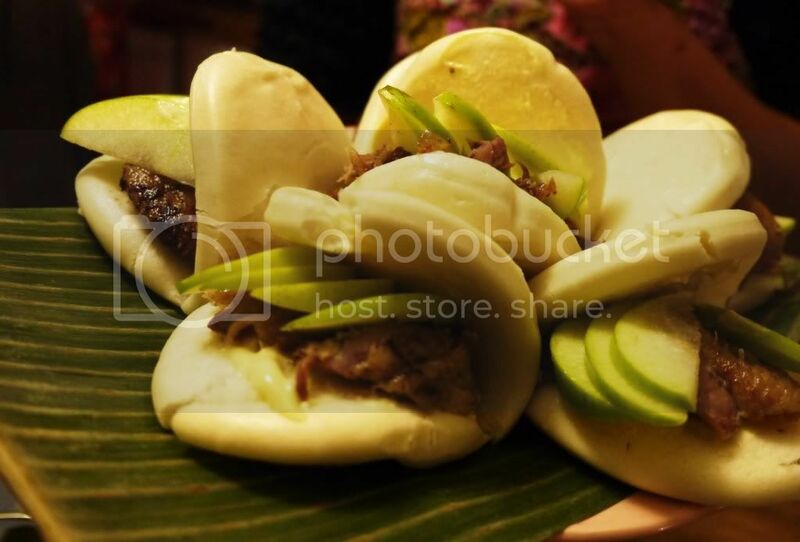 The shredded duck legs in the buns were rich with five spice, Sichuan pepper, ginger and garlic and the slices ofGranny Smith apple stuffed into the buns provided the perfect contrast. 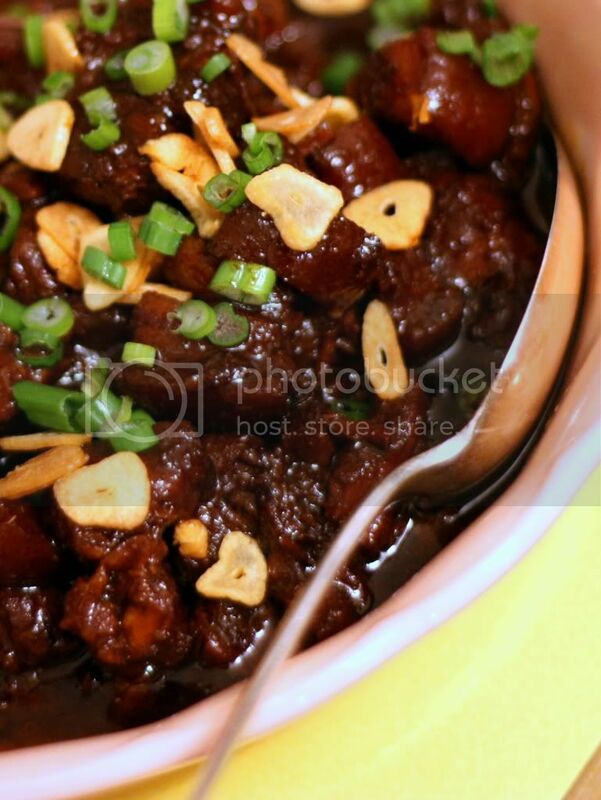 Another classic Chinese dish executed with a great twist. For me, the highlight of the savoury courses was the Slow-Braised Pork Belly, rich nuggets of meat which were sticky with a reduction of soy. The meat was dense and unctuous with the sweetness of caramelisation contrasting the salty soy. I could have eaten a lot more of it. Shrimp, Cabbage and Vermicelli was fine, with a light sauce and perfectly cooked shrimps. I think probably one dish too many and the one I would sacrifice to save guests from feeling overly full. Next came the Teochew-style Braised Gressingham Duck which was tender slices of whole duck which had been slow braised in light soy, five spice and ginger. 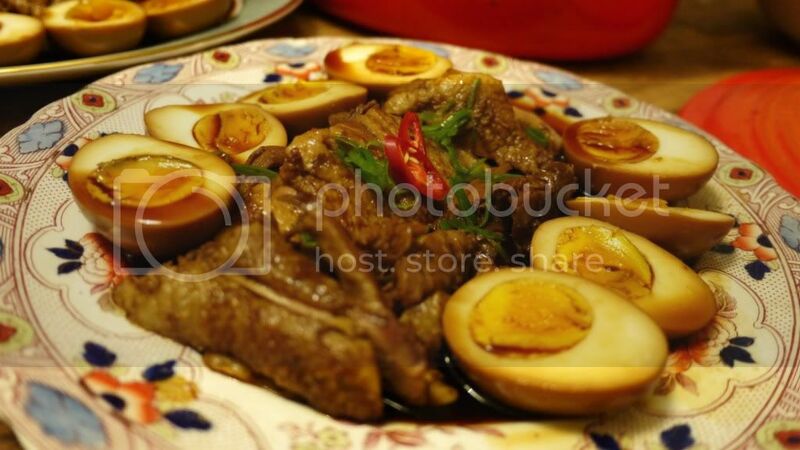 The meat was delicate and beautifully aromatic and came with boiled egg halves dipped in soy sauce. 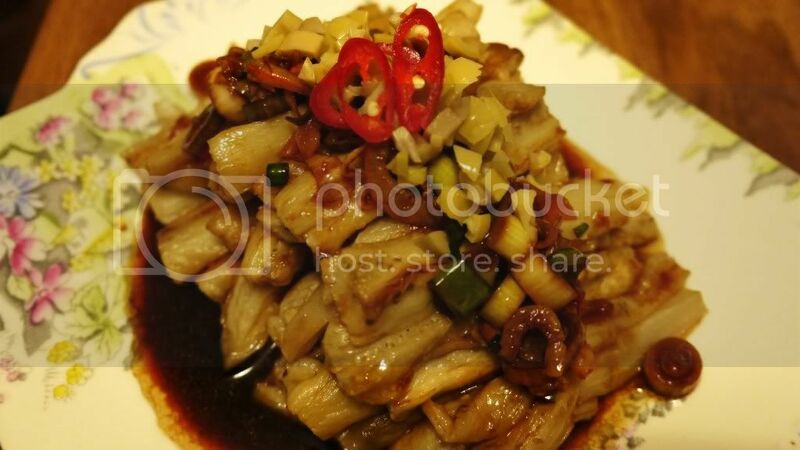 Aubergine and Bamboo with Dried Shrimp and Garlic Vinaigrette came next. Known as Brinjal in Malay and Indian cooking, the aubergine was yielding and well flavoured with chilli and garlic and a dipping sauce of garlic and vinegar came alongside. The final main dish did not disappoint, even though we were all dangerously full by now. 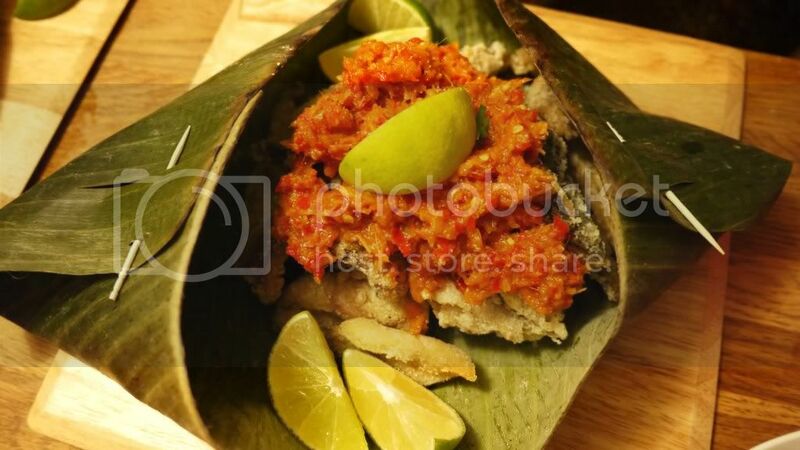 Deep Fried Mackerel with Lemongrass Sambal delivered nuggets of fleshy mackerel wrapped in a banana leaf with a zesty and spicy sambal and slices of lime. The sambal was a perfect foil for the mackerel, lightening its rich fishiness and providing a sharp contrast. Both the desserts were superb and beautifully presented. 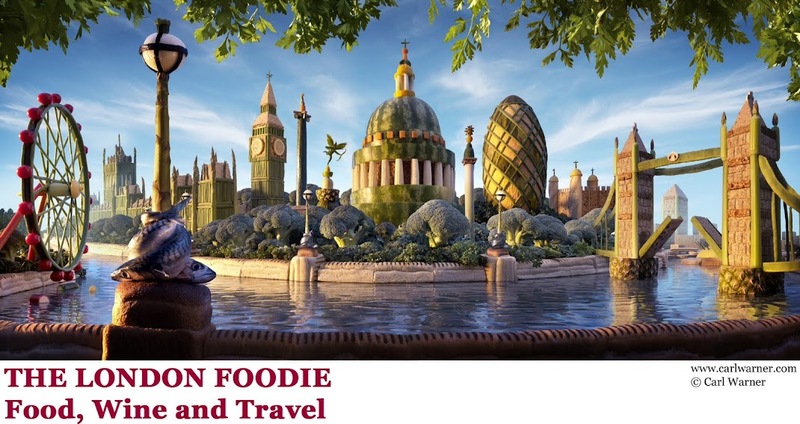 This might have something to do with the fact that Leigh is a trained patissiere and has worked at some of the city's most respected restaurants before setting up her own cake and pastry making classes. The Soya Bean Milk Pannacotta and Black Sesame Sauce was one of the creamiest, silkiest pannacottas I have tasted and came surrounded by the earthy sesame sauce and a croquant of caramelised peanuts. And the profiteroles were even better – light pastry filled with fragrant coconut ice cream and covered with salted caramel fondant. This was a delicious fusion of East and West and a beautiful ending to the meal. Likes: Delicious and well executed cooking served in an informal, dinner party setting. Plus a chance to do some good for world hunger. Verdict: Expertly cooked Chinese and Malay cooking at a very reasonable price by two passionate and lovely cooks (and their helpers!) at a very reasonable price, especially when a donation to charity is included. nice pics and nice review. Enjoyed it albeit, vicariously, very much. It's really nice to see people doing this stuff in a town that seems to be all too often based around going out to eat almost every meal. How does one get into the next supper club? The tofu with egg sauce dish looks amazing!